Most people don’t notice the full effects of losing income due to an injury until after they’ve missed a few paychecks. Having to go on extended leave from work will have a marked impact on your everyday life, causing your financial status to become threatened indefinitely. People who have experienced debilitating injuries face an uncertain future, which can add undue stress to a person coping with an indefinite loss of work. 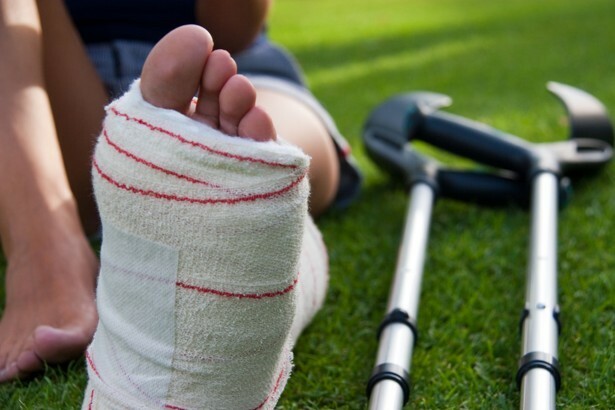 If your injury was not self-inflicted and you have suffered a loss of income from missed work, a personal injury lawyer can help you to discover what all of your legal options are. Some injured parties are able to file suit against the employers, business owners and negligent drivers, and successfully receive a personal injury settlement from those responsible for their pain and suffering, and lost wages. If you will be out of work for an unknown amount of time due to injury, restructuring your budget is one of the best things that you can do. Reducing your expenses early on will help you to handle better the financial strain of losing your immediate income. Eliminating the extras, couponing and contacting your creditors to reduce, delay or suspend payments on all eligible accounts are all effective methods of managing expenses to help prevent an all out financial crises. Do not live off your credit cards or exhaust your 401-K. If you do have some money saved up, you should try creating a budget spanning the next three to six months to learn if you will be able to continue to sustain your lifestyle, or whether or not you’ll need to make more drastic cutbacks. Disability insurance is generally optional in most workplace environments, but if you did decide to purchase coverage, you would be able to put in a claim. The caveat of disability insurance is that disability benefits are not dispersed immediately, and you can wait anywhere from a few weeks to six months before insurance payments will come in steadily. Unemployment benefits are not available to people out of work due to a workplace injury, and workers compensation coverage requires claimants to waive their right to starting any type of legal action against their employers. You have to truly think about your personal circumstances before deciding on submitting any type of insurance claim or pursuing a legal venue. Most people who sustain an injury during the course of their everyday routines rarely consider legal action at the onset. You can sprain your knee using gym equipment, slip and fall going into your neighbor’s home or need corrective surgery to correct carpal tunnel, and still not draw a line to the cause of your pain and suffering. If you were healthy before your injury and have medical proof that will support your legal claims, pursuing a lawsuit can help you to secure both lost wages and damages. Any period of time where you are unable to support yourself is going to lead to financial complications. Using the law to recover lost income is not only a right, but it is the only opportunity that you will have to get justice. Most people don’t have access to a substantial amount of cash savings, meaning that they are totally unprepared to handle a long or short-term involuntary unemployment period. Disability insurance coverage is helpful, but it will not replace your regular salary. If you feel that you have a personal injury case, ask a legal professional for prompt assistance. While you are waiting for you case to be jugged you can play some freeslots to pass time.